Verizon and AT&T watch out! 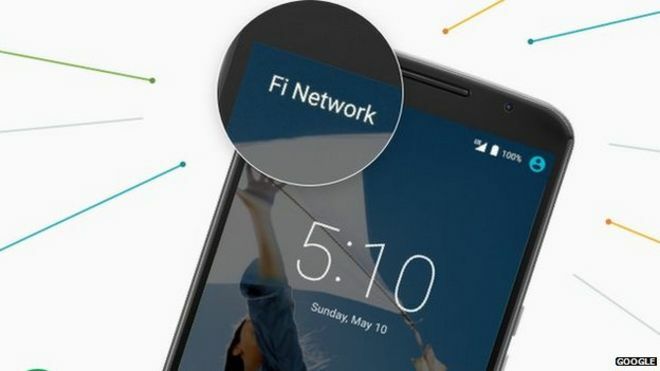 Google has partnered with Sprint and T-Mobile and has created the Fi Network. The question is will Project Fi become a major competitor or will it become another failed project? We’ve seen Google products and services go both ways. A failure in this field isn’t going to hurt the search engine giant, but how will it effect its mobile competitors? Project Fi will work across millions of wifi hotspots across the world. It “piggybacks” on these networks choosing the best one for you to be connected to. You can make and receive calls, browse the web, use apps and everything you would normally do on the network. You’ll also be able to make and receive calls to your phone number on other devices such as your PC. When connected to public Wi-Fi your information will be encrypted. So your information is safe from potential hackers. You will only have to pay for the data you use. Rates start at $20 per month which includes unlimited talk and text! This is very competitive pricing compared to rates of Verizon and AT&T. Once you use your current data it’s $10 per additional GB. Here’s something awesome! If you don’t use all your data you’ll receive a credit on next months bill. So if you use 75% of your $20 data you’ll have a credit of $5 on next months bill. Right now Project Fi only works on the Motorola Nexus 6. If you want to use this new network you’ll need one of these. You can purchase the phone outright or go on a 2 year contract and make payments towards the phone. They will have other phones available in the future. As of right now this may be a major draw back for a lot of users. It’s not always easy to get someone to commit to a 2 year contract or have a particular phone just to use this service. Currently the new cell phone service is only available to those that get accepted for early access. You can submit a request to join the early access for Project Fi. They’re accepting those closest to their service area. I think this service can really become a major competitor in the cell phone service industry. If Google does well then it will pave the way for other companies such as Apple or Facebook to also provide their own services to users. Mobile traffic already makes up 60% of all internet searches and browsing. So, these companies already know this is a field in which they have a vested interest in. It’s most definitely going to be interesting watching this play out.